Are the latest Transformers Generations voyager figures still eluding your store shelves? In the market Whirl? How about Doubledealer or Rhinox? Hasbro toy shop is still having their 20% off and free shipping offer until April 7 with the code FRIENDS14. Check out the world famous Seibertron.com galleries for Whirl, Rhinox and Doubledealer if you are still on the fence. You can find their product pages by clicking the links below. 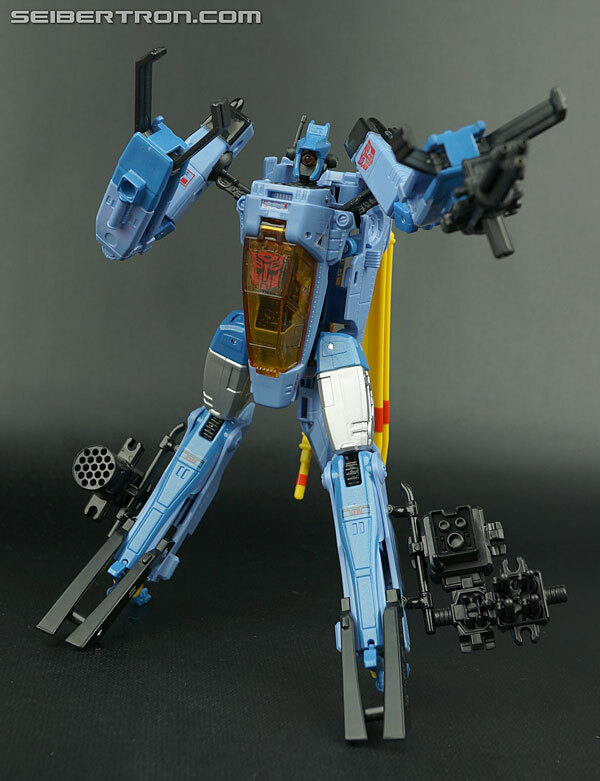 Pre-ordered Whirl, can wait to get him! I've never had a Whirl figure before. Don't care for Doubledealer and I want Takara's Rhinox instead. Rodimus Prime wrote: I saw this figure at my local Target last week. I thought about buying it, but it looked so simple, especially for a Voyager class. And if I bought it, I would have been compelled to buy Springer and Sandstorm as well. It would have been money well spent, though. Generations Springer and Sandstorm are fantastic figures. damn whirls out of stock,i want to get one to keep in the box. with all the hype around him i feel hed be a good investment. When did it go up for preorder? Ive been keeping an eye on the transformers waiting to see if waspinator would be back in stock before the code expired and never noticed whirl. Just FYI, my local TRU (Langhorne, PA) had about 4 or 5 Whirls on the shelf yesterday. CustomerService at HasbroToyShop. com wrote: Thank you for shopping with HasbroToyShop.com. We have shipped the following item(s) from ORDER 30956377 RECEIVED on 4/5/2014 12:57 AM. Metroplex was already gone by the time I got paid. Luckily I got Rhinox and that big voyager Predaking for $35, so I'm happy.